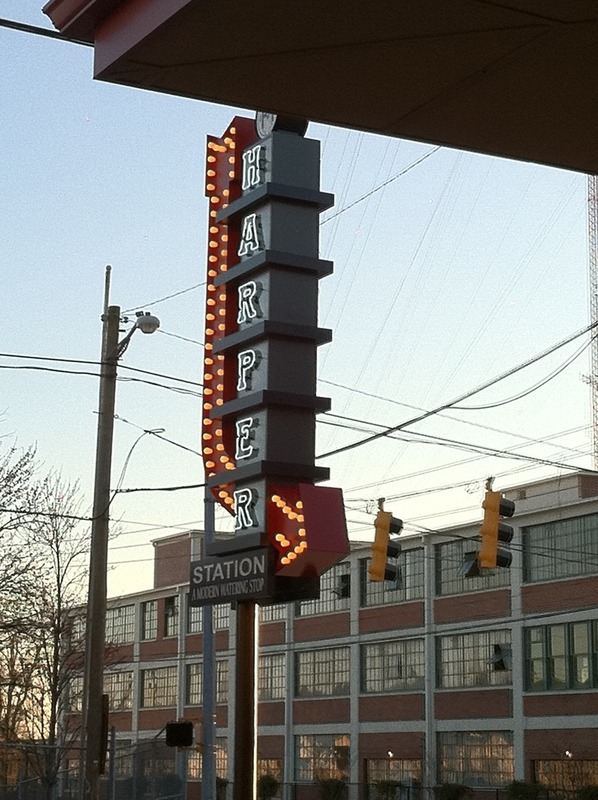 A couple of weeks ago, Katruska and I headed over to one of our favorite places, H. Harper Station, to enjoy a tasting of some of our favorite whiskeys, bourbon and rye. 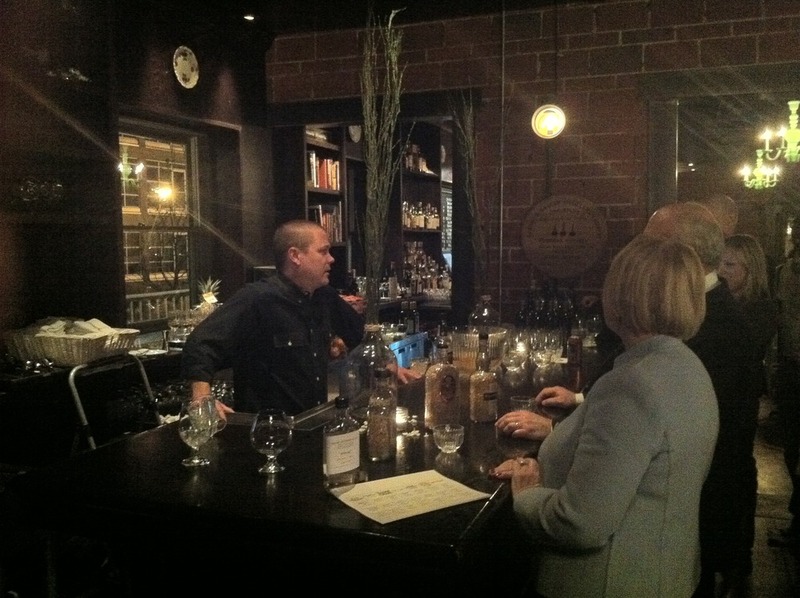 The event was hosted by Robert Hutchins, Heaven Hill Distilleries‘ National Ambassador, and was an opportunity to experience Heaven Hill products neat as well in Jerry Slater’s amazing cocktails. In addition to tasting these liquors melded into cocktails, we were also treated to an amazing five course dinner that highlighted the use of the whiskeys both as compliment to the food and at times as a component of the dish. Upon arriving at H. Harper Station we were treated to Jerry’s outstanding Rittenhouse Rye Punch while chatting with the other guests and the Heaven Hill representatives. The punch was created by steeping lemons in hot water before dissolving sugar into the mixture. Once the lemons are removed, Rittenhouse 100 and house-made ginger beer are added and the whole concoction chilled. The final product is lightly lemon and ginger flavored with just a bit of bite from the high-proof Rittenhouse. It was the perfect compliment to the rye toast with egg white and caponata, smoked salmon blini, and “old fashioned” pork (soaked in pineapple juice) appetizers passed by the gracious staff. All-in-all an outstanding way to start the evening! While taking our seats for the beginning of dinner, we were treated to an overview of Heaven Hill and their product line. 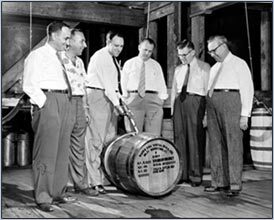 Heaven Hill Distilleries were originally established in Bardstown, KY in 1934 by the Shapira family and is still owned and operated by them. While a risk at the time of its founding, the company has grown to become the largest independent producer of distilled spirits and the second largest holder of bourbon in the country. The company has diversified to include many brands domestically and internationally, but has continued to maintain a high standard with its domestic whiskeys which include Bernheim, Elijah Craig, Evan Williams, and Rittenhouse. The first liquor tasted during the evening was the Bernheim Wheat Whiskey. It is neither a bourbon or rye due to it’s composition of 51% wheat instead of corn or rye and is the first new style whiskey created in the U.S. since Prohibition. The Berheim was a pale, golden color with slightly citrus and vanilla aromas and a taste much like a lowland scotch whisky with floral and bread notes. 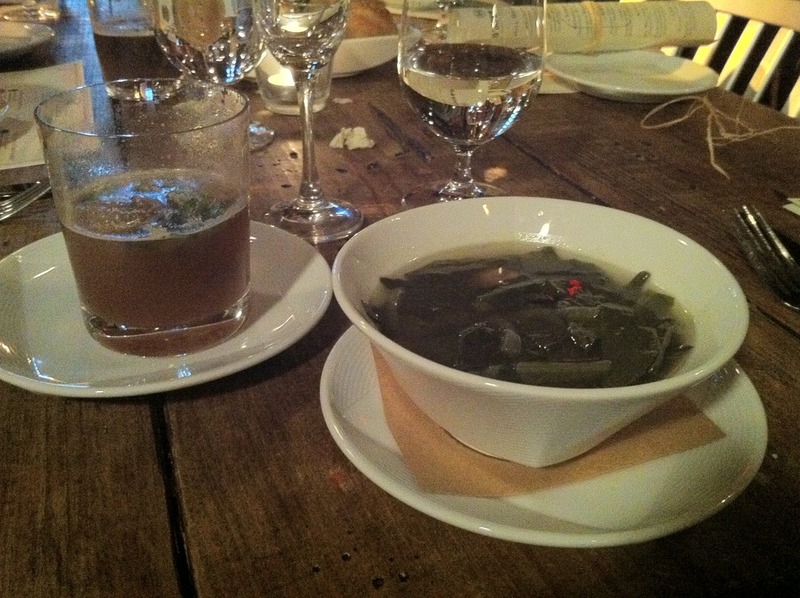 Both Katruska and I enjoyed it neat as well as in the Bufala Negra cocktail (Bernheim instead of the usual Buffalo Trace bourbon, basil, brown sugar, balsamic, ginger beer) Jerry chose to compliment the soup. The delicious soup was a tongue-in-cheek riff on Italian Wedding soup dubbed Shotgun Wedding Soup (ground pork meatballs, swiss chard, star pasta, and broth). This playful yet refined manner of presentation was only the first of many pleasant surprises to come. Next on the tasting agenda was the bourbon, Elijah Craig 12 Year. Katruska and I were truly on our home turf now with the shimmering copper elixir. This wonderful bourbon has the scent of burnt caramel and apple peel with tastes of Earl Grey tea, vanilla, and Meyer lemon. The cocktail created to highlight the bourbon and food was called the Bardstown Breakfast. Indeed, it was a compliment both to the hometown of Heaven Hill and the incredible quail, cornbread and sausage stuffing, grapefruit marmalade, and frisee salad with which it was served! Jerry has once again created an interesting balance of flavors with this libation between the bourbon, apricot bitters, Maraschino liqueur, lemon juice, and egg white. I just wish every breakfast was this potent…I mean nourishing…I mean, well you know what I mean. With the next course the Evan Williams Single Barrel bourbon was served. It has a deep, burnished amber color with the scent of creme brulee and Meyer lemon. Its oaky and dried berry flavors worked beautifully in The Boundary cocktail (orange bitters, Manteano sherry, Averna Amano, and scent of cedar and orange) and was great for the ribeye with “Manhattan sauce”, broccolini, and blue cheese bread pudding. In any other chef’s hands these strong flavors might have competed, but I found the flight of flavors wonderful as each crossed my palate. 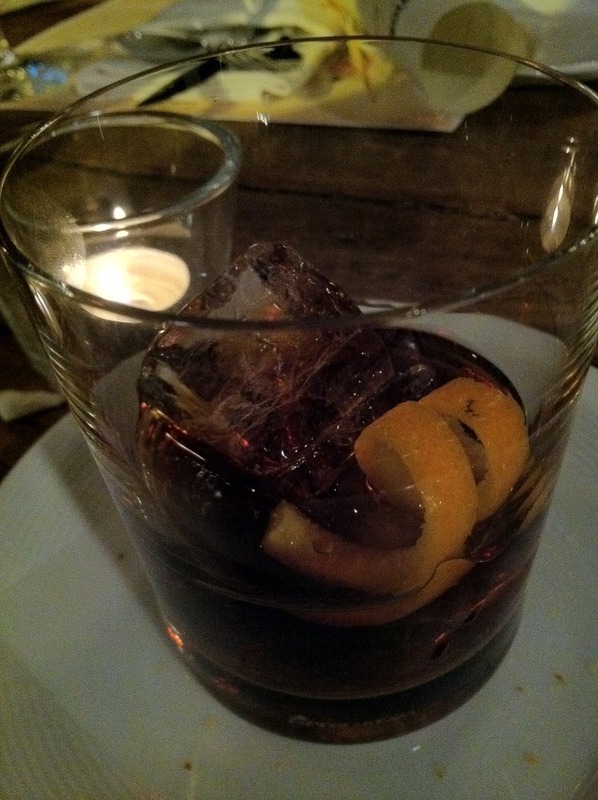 Finally, the Elijah Craig 18 Year was served. This five time “whisky of the year” winner delivers on its accolades with charred wood and dark caramel scents and a spicy apple, oak, and honey flavor. While there was not a cocktail creation for this course (thank goodness! 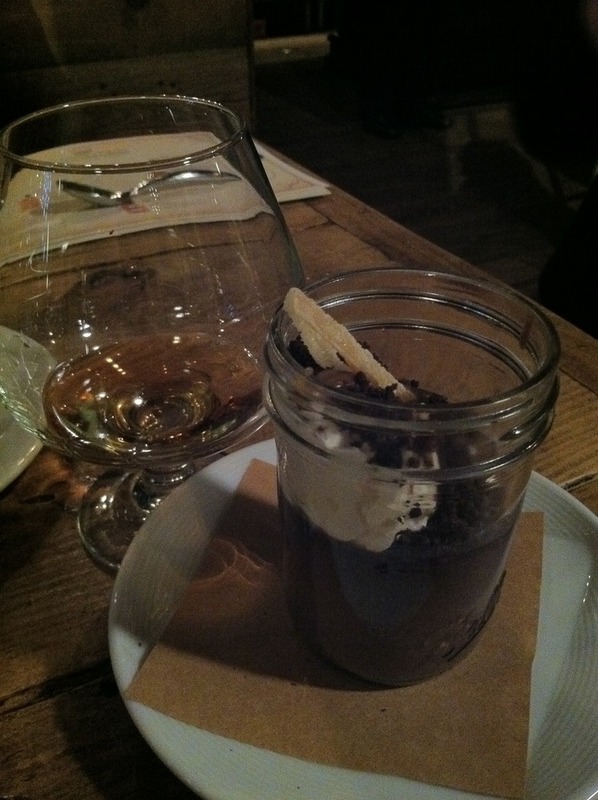 ), the Elijah Craig paired beautifully with the indulgent Mason Jar Pots de Creme (dark chocolate, ginger snap, bourbon butterscotch) dessert. 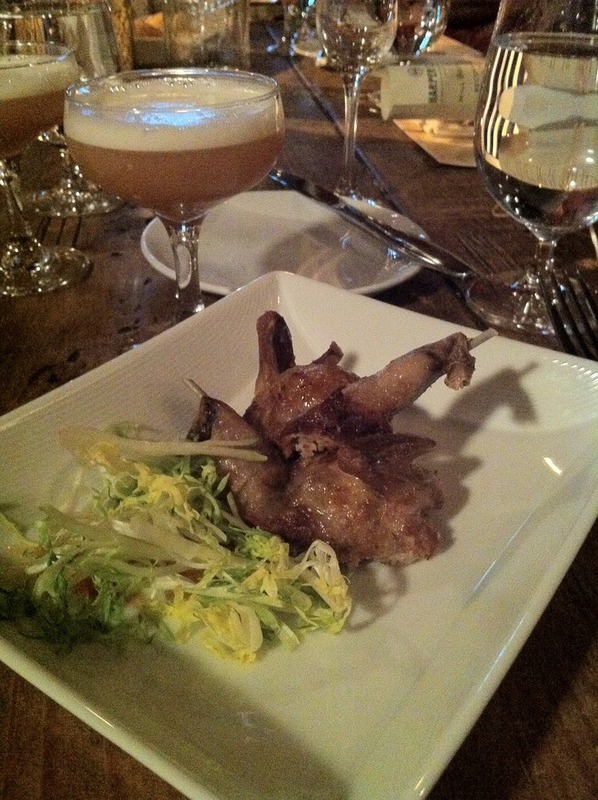 The flavors of both lingered long on the palate and was just the right way to finish the evening. Katruska and I enjoyed this event tremendously and will definitely be going back for more of H. Harper Station’s future events. Check out the information below and make a reservation today. See you next time!